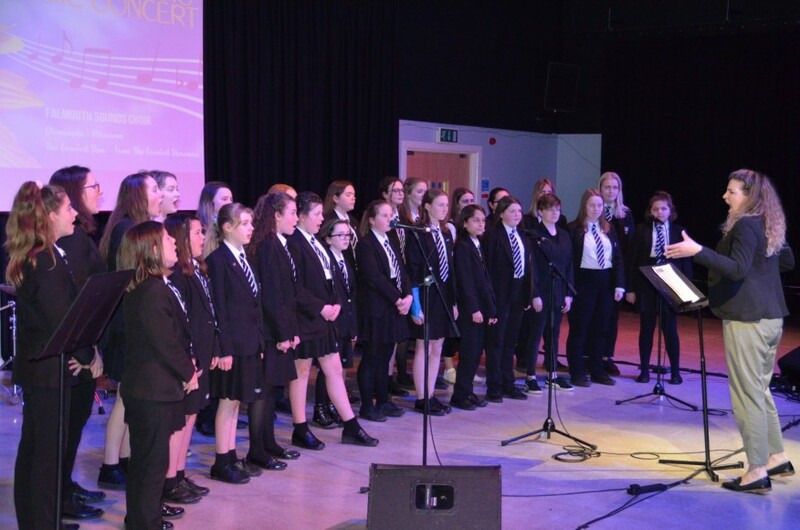 A group of Falmouth School students impressed at the recent ‘Music For Youth’ festival held in Truro. Known on the day as ‘Falmouth Sounds’, the group played their repertoire of ‘Diamonds; The Greatest Show’ and impressed their music mentor Kate Jones. “I really loved the overall sound of this choir” said Jones. “Huge energy came from the group who are a terrific choir. They pack a solid punch that is greater than the numbers in the choir would suggest” she added.